The proposed drive-up ATM in the Creekside Marketplace shopping center would be located near the north entrance from Rt. 412, in an area of the parking lot that is normally little used. Frequent visitors of the Creekside Marketplace shopping center may soon have another way to manage their funds while out shopping. 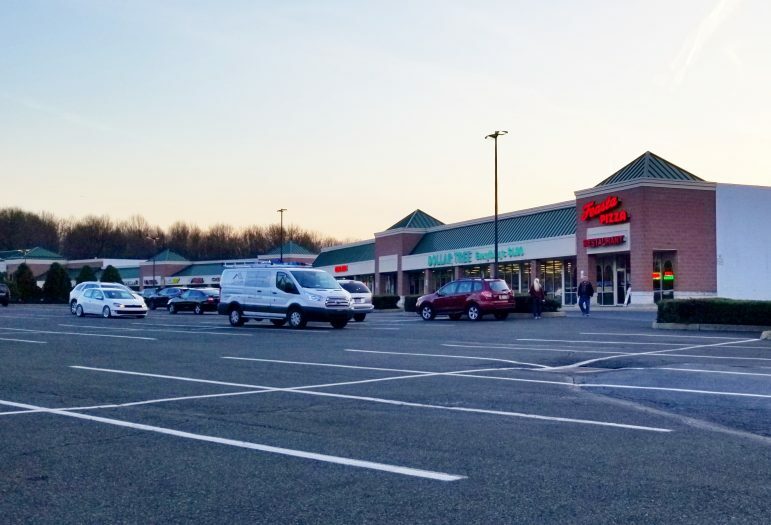 At their meeting on Wednesday, April 3, Lower Saucon Township Council discussed a land development waiver that would bring a drive-up ATM to the shopping center on Rt. 412 (Leithsville Road) south of Hellertown. The ATM would be constructed on the north side of the shopping center near Feasta Pizza and the northern, one-way entrance from Leithsville Road. Since it would be constructed on a parking lot surface that is already paved it would not create any issues with impervious surface coverage or storm water management, council was told. It would also necessitate the removal of only two parking spots which are seldom used on the far north side of the shopping center. Township solicitor Linc Treadwell said he did not think the bank had been identified. Councilman George Gress then pointed out that, based on the photos and letter presented to council, he thought the ATM would be owned and operated by Bank of America. Last summer Bank of America closed its Hellertown branch, which was located about a quarter of a mile north of the shopping center. Numerous stores in the shopping center have ATMs, but the nearest drive-up ATM is at BB&T more than a mile away in Hellertown. Township Police Chief Tom Barndt said there are no security cameras on that side of the shopping center. Councilwoman Donna Louder expressed the need for security cameras before approval of the waiver. Council voted 5-0 to delay consideration of the waiver until the applicant confirms they will use security cameras per the chief’s recommendation. The next Lower Saucon Township Council meeting will be held Wednesday, April 17 at 7 p.m. in Lower Saucon Town Hall, 3700 Old Philadelphia Pike, Bethlehem, Pa. Meetings are open to the public and draft meeting agendas are published in advance on the township’s website.